Discover Dubai’s Chic and Enchanting Oasis! It’s not the most likely or common destination for a holiday, but Dubai has very quickly developed from being a city of transit en route from Australia to Europe to a destination in itself. From the signature fragrance that lingers in every hotel foyer, to the Michelin Star restaurants, the United Arab Emirates knows luxury and how to deliver it. The service is among the best in the world. From the exquisite breakfast buffets, to the tiny dates offered with tea, the dedication to detail is spot on. If you want to feel pampered then this is definitely the place to visit. You are truly spoilt for choice when it comes to shopping in Dubai. My favourite place to shop is the Dubai Mall. Shops aside it also offers cinemas, fountains, restaurants, kid zones, an ice skating rink, an aquarium and even an underwater zoo. It truly is like no other shopping mall I’ve ever seen. It’s like the Disney of water parks, with zip lines and water slide through tanks of sharks, through to underwater exploring and ray feeding. Whether you have kids in tow, or you’re just young at heart, this place will channel your inner child. You can choose the slow relaxing pace of the lazy river, or the high octane adventure of the water slide. There are different types of desert adventures in Dubai, including sunset camel rides and dune buggies. But my favourite is the journey into the spectacular red dunes of Magham. This adventure combines ancient desert traditions with thrill-seeking discovery as a camel caravan leads you to a once in a lifetime sand skiing experience. After all the action packed adventures and many hours of shopping, you should definitely book some time at the spa. 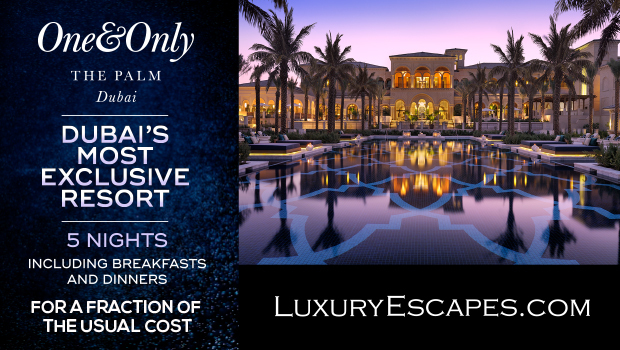 As I mentioned in my first tip, luxury is Dubai’s speciality and a trip to the spa is a must. I recommend the Guerlain Spa at One & Only the Palm.